You’re sitting on the couch, watching TV, and the lights go out. Your TV and all your other appliances turn off. It’s dark outside and you’re suddenly without power. You peek out your windows to see the street lights off and the neighbors’ houses are dark. What has happened? The answer is most likely the first or second choice, but who knows? How will you find out? Maybe you can listen to the battery powered FM radio you’ve had charging. You DO have an emergency radio charging, right? Anyway, the FM radio is working and all stations, including the NOAA weather, are broadcasting as if nothing is wrong. Or even possibly no station is broadcasting at all and all is silent. Now what? To find out what is happening, you have two choices. The first choice is to get in your car and leave. Drive around to see how far away the power is out. Meanwhile, who knows what is now occurring back at home. Let’s back up. Don’t leave until you find out what is happening! Your second, and only reasonable, choice is a battery powered Amateur (ham) radio and training on how to tune and monitor the correct frequencies. 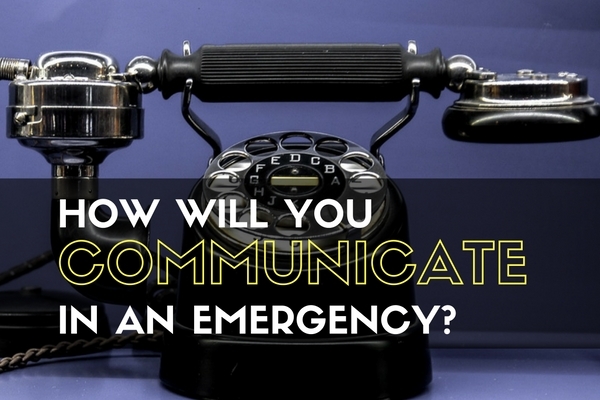 Did you know that one of the main goals of ham radio is to provide information in an emergency of any type? Yep! Whether weather-related with volunteer spotters or interacting with and reporting on government emergency action, the ham radio is the way to go. Why not just a scanner? Scanners are good for listening to emergency dispatchers and responders, but they won’t tell you the bigger picture like ham radio operators will. Also, larger cities use a trunk-based communication system that require expensive models of scanners to monitor. Doesn’t ham radio sound expensive and time-consuming? It’s not. You can get a hand-held battery powered ham radio for $25 on Amazon Prime. Here is the Baofeng UV5R that I own and use regularly. It works on two local ham frequency bands, FM radio, non-trunked emergency bands, NOAA weather, marine, and even aircraft coms. After a little studying and a $15 test fee, you can have your Technician class license that lets you talk on the local frequencies needed during a disaster. You can monitor the emergency net or just get on available frequencies and ask “What the heck is happening?” That little radio will reach within about 5 miles of other hams directly and it will also reach 5 miles to a repeater that, probably on backup power, links people within 15 to 20 miles. The coolest part of being a ham is being part of the solution! When things go sideways, you can be one of the few people explaining to others what is happening. There are organizations in place specifically for that purpose and they love new members. You can learn about those from your local ham club. Go to the Amateur Radio Relay League web site here. Turn it on when the lights go out! By now, you must agree that the only easy way to find out what is happening when the power goes out is to get on your inexpensive ham radio and hear the news from the group of people that will surely know. I like AM radio. I have had radios since I was a little kid. The best radio I have ever bought is my Eton Traveler 3 – (Grundig Edition that’s important!). I bought it in Sept, 2016 and I paid about $46 for it on Amazon, it operates on 4 AA batts and with “normal” use (2-3 hours per night) a set of good alkaline batts lasts me about 3 months. I live in Northwest Indiana and I have received stations from GA, LA, CO, NYC, TX, Boston, MN and several from Canada. And this is just on the AM band (usually best a night) I haven’t even really explored the shortwave bands yet! I also am just using the built-in AM antenna, though someday I plan to make my own coil-loop antenna (see youtube). With this fantastic, little radio (it is the size of 2 decks of playing cards side by side will fit in my coat pocket) I can monitor LIVE information from my hometown or from across the Midwest, East coast, Rocky Mountains, or down South! $46 for the radio $40 for good, fresh batts and I have all the info I need concerning weather, politics, terrorism, entertainment etc. for a year! Dollar for dollar and weight for size ratio (and ease of use) you CANNOT beat this little radio to stay in touch with “the outside world”! I agree the Eton Traveler III Grundig edition (Here on Amazon: http://amzn.to/2iMSTtG) looks like a great shortwave radio. I you just want to listen to the bands it covers, I would get one. I’ve listed below a summary of those bands, those it excludes, and some other bands of interest. Note that for most non-commercial FM broadcasts (which are inherently local), you need a scanner or a ham radio as mentioned in my post. Military: Any frequency they want! If there is an EMP than that radio and any other that are on the charger, and not in a fariday will be of no use. I totally agree. Good timing on the comment too. Watch for my upcoming post on EMPs! When everything goes down the toilet, AKA SHTF, don’t forget that COMMSEC, OPSEC, and COMMON SENSE are the most important. When talking on the radio NEVER say who you are, where you are, or what you have. Do not let just anyone use your radio/s. Do not stay on the same frequency. Only tell those you trust what frequency you’ll be on, and when. Don’t change frequencies the same all the time. Make contact then say something like: “Up two.” Meaning go up two ‘normal talk frequencies’, or maybe it means ‘down’. Make everybody else that’s listening guess. Do you know what frequencies the ‘bigger’ AM stations are on? Check out http://ac6v.com/clearam.htm During a national disaster few, if any, commercial radio stations will be on the air 24/7. Know where to look to find the stations that have enough power to be important can be found. Back in the CONELRAD days 640 KHz and 1240 KHz were THE ONLY places to get useful information. (The triangles on the dial.) Currently, EAS (Emergency Alert Stations) are the better places to start to look. Those can be found at http://www.theradiosource.com/resources/stations-alert.htm Note: These are all low power stations. Whatever you hear on any radio, take with a grain of salt. Verify, verify, verify. Thanks for the great comments! I agree with all that. 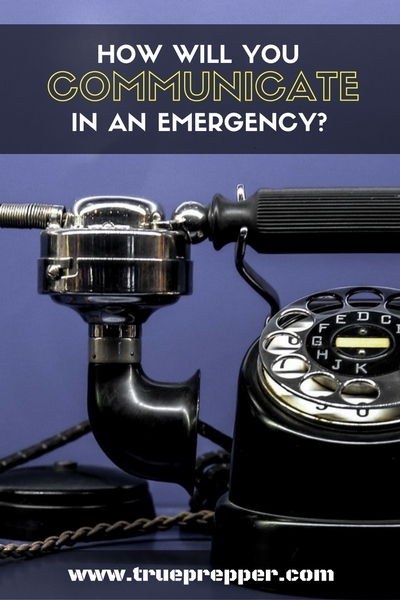 Even when not an emergency, don’t tell anyone on the radio where you are going to be. Assume bad guys are listening.